"Child Care Quality and Workforce Characteristics in Four Midwestern St" by Helen Raikes, Brian Wilcox et al. 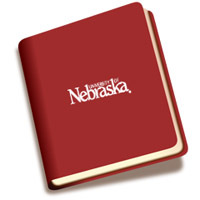 Published by the Gallup Organization and the Center of Children, Families, and the Law, University of Nebraska – Lincoln and The Midwest Child Care Research Consortium. The purpose of the Year 1 Studies of the Midwest Child Care Research Consortium was to describe hypothesized and potential indicators of quality, to measure observed quality, and to conduct preliminary analyses to determine relationships between the hypothesized and potential indicators and observations of quality, using a representative, randomly selected sample of the provider population. The states studied—Iowa, Kansas, Missouri, and Nebraska—comprise U.S. Department of Health and Human Services Region VII. Following an examination of the child care policy context in the four states, a telephone survey of 2,022 child care providers, and observations of 365 providers, were completed during late spring and summer of 2001. Participants were selected at random from state lists of licensed and subsidy-receiving providers following a complex stratification plan that sampled for state, subsidy, and type of care (infant-toddler center-based, preschool center-based, licensed family child care, registered family child care, and license-exempt home providers and a few state-specific categories). Respondents were also classified according to whether they were Early Head Start/Head Start child care partners. Respondents were queried about hypothesized correlates of quality and other provider characteristics. The survey provided a comprehensive description of child care providers in the Midwest and a comprehensive description of potential indicators of child care quality. In some cases, there were differences in provider characteristics or observed quality by state, subsidy receipt, type of care, or Early Head Start/Head Start partnership. A number of provider characteristics that associate with quality were identified. Some were as hypothesized, but other provider characteristics were also important correlates of quality. In subsequent reports, predictors of quality will be identified.